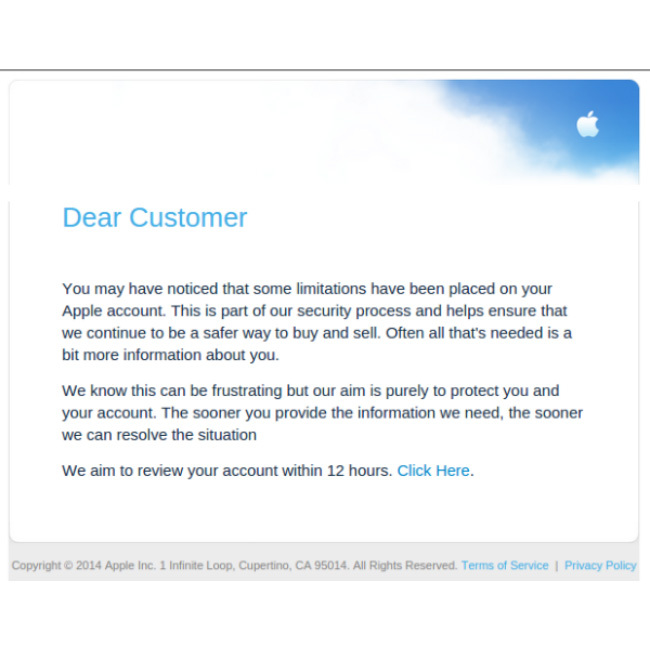 We’ve all received those bogus phishing emails that begin with “Some limitations have been placed on your account…”, right? They’re mostly for PayPal and every bank imaginable, whether you have an account with those institutions or not — and whether or not they’re linked to the specific email address mail box they landed in. Hopefully you’re deleting every one of them. The threat, spotted by Comodo Antispam Labs, targets potential victims with an email claiming their account has been “limited.” It goes on to say that providing personal information will fix the problem, and includes a link to a website that looks surprisingly legit. Once there, you’re asked to enter your Apple ID, name, birthdate, address, social security number, and credit card information. If you aren’t paying close attention, the email sounds legit, and the website looks like something Apple would design. 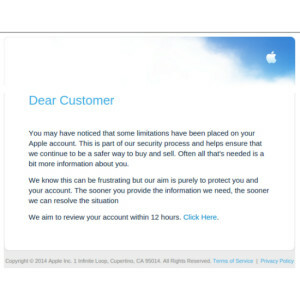 The easy tells for the scam, however, are in the email message. If you get an email telling you there’s a problem with your Apple ID and you think there’s a chance it’s legit (hint: it probably isn’t), don’t click the links in the message. Instead, go to Apple’s website where you can manage your Apple ID yourself. 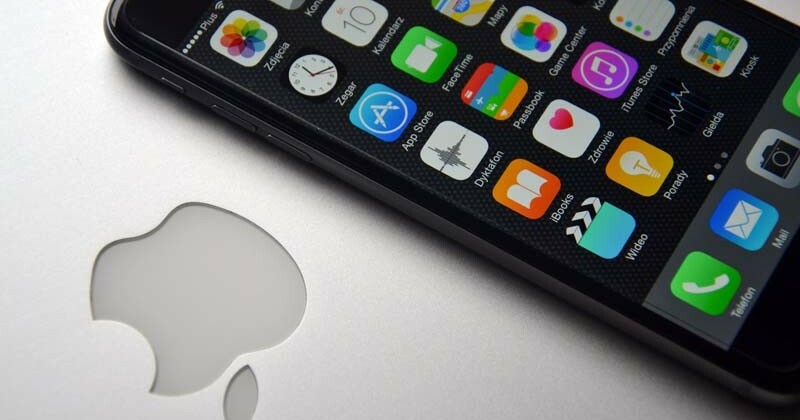 The URL Apple uses for managing Apple IDs is https://appleid.apple.com. If you think you’ve been tricked into giving up your Apple ID, go to the Apple ID management webpage and change your password. Also contact your bank in case the credit card linked to your Apple ID has been compromised. Actually, this is sound advice for ANY phishing email that you receive, regardless of the institution or company ‘represented.’ If you have any concerns at all, go directly to the source (aka the OFFICIAL company website) and log into your account. Never, EVER click a link in any of these emails. Reputable companies always instruct you to go directly to their website and never include direct links. These scammers prey on your anxiety — don’t let them fool you into revealing your secure information.